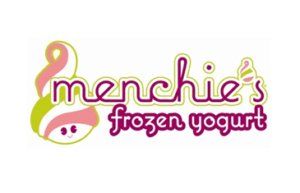 The December installment of the FranCoach Franchisor Spotlight shines on Teriyaki Madness. 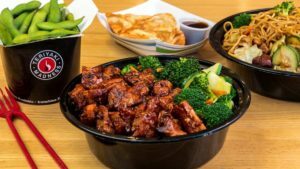 Teriyaki Madness is a fast-casual food concept gaining a great deal of buzz due to their fresh, health-conscious Asian cuisine and their hip, fun culture. 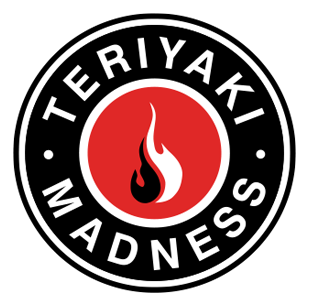 FranCoach recently spoke with Tyler Demuth, Director of Franchise Growth at Teriyaki Madness so we could learn more about TMad. 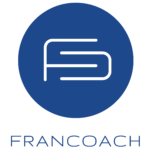 FranCoach: Tell us about the Teriyaki Madness story. Teriyaki Madness: Teriyaki Madness was started by two brothers and their cousin. While living in Washington, the trio worked in the industry learning the ins and outs of the business and perfecting their recipes. In 2003 they moved to Las Vegas and opened their first Teriyaki Madness store. 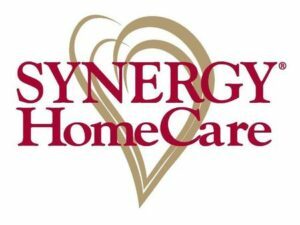 Due to their success, they attracted the interest of people who wanted to be franchise owners and awarded their first franchise in 2005. In 2015, Teriyaki Madness was sold to an investor group led by Michael Haith. Michael has a fantastic track record of growing other franchises including Doc Popcorn and Maui Wowi and immediately began building the TMad infrastructure. Part of this infrastructure was assembling an All-Star leadership team that includes executives with franchise experience at brands such as Chipotle, Wendy’s, Portillos, Smashburger, and Pizza Hut. As of today, there are 45 Teriyaki Madness locations open around the US with another 45-50 slated to open in 2019. FC: That is a great story. Share a little about the Teriyaki Madness concept. TMad: We view ourselves as “a delicious concept that happens to be healthy” as opposed to a healthy concept that is trying to be delicious. We focus heavily on the quality of the products and the ingredients we put in them. We use only A level protein, the chicken is never frozen, there are no antibiotics or hormones, and everything is trimmed in house. Teriyaki Madness offers a simple concept with a variety of appetizers and a selection of bowls that can be customized based on meat, veggies, and rice or noodles. This allows the consumer to have something different every time. Six months ago, we launched our online app with mobile ordering capabilities. Currently 60-70% of all customer orders are placed outside the four walls. This includes 3rd party delivery services, catering, or pick up orders placed online, from the mobile app, or from call ins. The high percentage of orders placed outside the four walls is one of the many reasons our stores are able to have an Average Unit Volume of $1.1M out of shops that are typically 1400-1800 square feet. 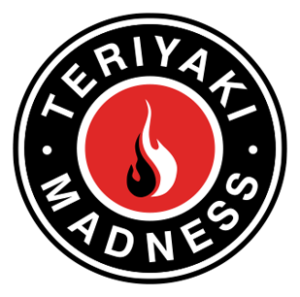 FC: What are some of the differentiators for Teriyaki Madness both as an owner and as a customer? TMad: For owners, one of the big differentiators is the ease of operation. It is very streamlined. Even during the heaviest lunch rush, we only need 5 employees and during off-times only 3 are needed. Due to the small shop footprint and the low number of employees it has allowed our owners to see 15-23% margins. For customers, in addition to the high-quality product and recipes, a key differentiator is that your order is only cooked once you place the order. This means your meal will be hot and fresh. The bowls are highly customizable, so you always get exactly what you want. FC: What does Teriyaki Madness look for in an owner? TMad: We look for six traits. First, we want an owner who wants to lead from the front both in the store and in the community. Second, is work ethic. 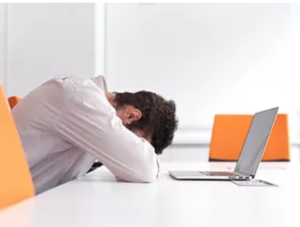 A TMad owner needs to understand the importance of following our streamlined process and procedures. Third, the ability to follow the operations manual. Fourth, coachability. Restaurant experience is not needed as that can easily be taught if one is coachable. Fifth is trust. We want a mutual relationship with our owners built on trust. And finally, tenacity. We want an owner who is willing to do whatever it takes to grow the top line sales by developing a strong team, building relationships in the community, and creating an awareness of Teriyaki Madness! 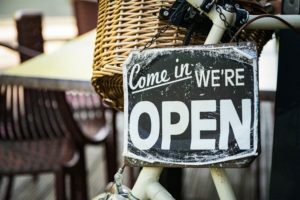 *** To learn more about Total Investments and franchise funding options check out our Funding page.